When I start Parallels Desktop I always get "Parallels Desktop" would like to control this computer using accessibility features pop-up. How do I turn it off permanently without having to grant Parallels Desktop with control over accessibility features? This procedure is required to allow macOS control the entire Mac keyboard (modified keys in particular). This is a basic macOS security procedure which will not affect other Mac applications or cause any security issues. 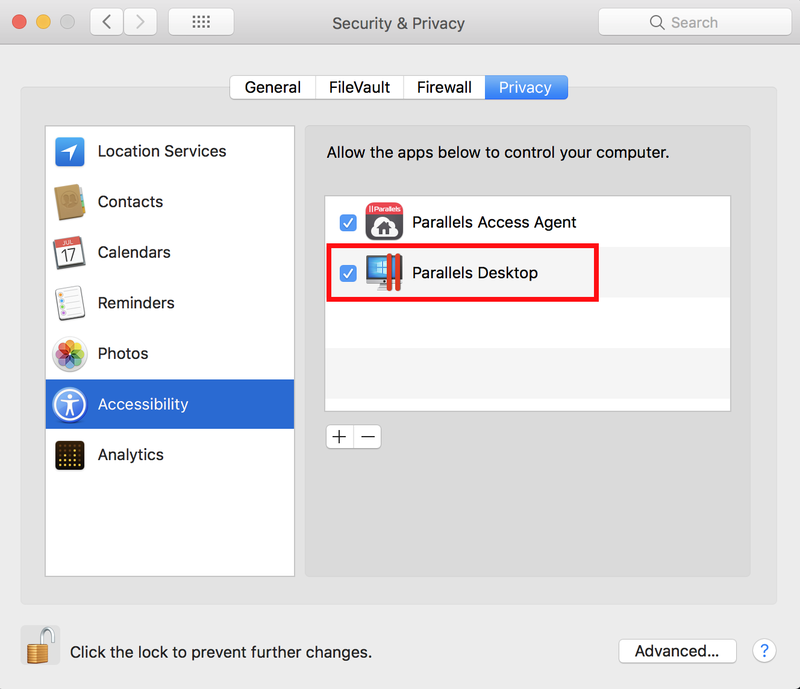 We recommend you enable Parallels Desktop in System Preferences > Security & Privacy > Privacy > Accessibility.